Tencent Holdings plans to unveil WeChat Pay in Malaysia in early 2018, having obtained an e-payment license for local transactions in the country, according to Reuters. This follows Tencent’s announcement in July this year that it applied for a licence in Malaysia because of the large Chinese community in the country. Quoting Tencent’s senior VP S.Y. 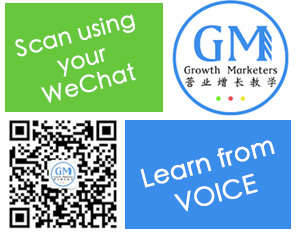 Lau, the report stated that there are 20 million WeChat users in Malaysia, and that the market is welcoming towards internet products from China. Lau added that the company is “not in a hurry” to quicken its expansion plans overseas or boost the monetisation rate of its digital assets. He also said that WeChat, which now has 980 million monthly active users, could be the “killer product” to front expansion abroad for Tencent, as its payment function attracts more services from merchants. According to Lau, the eventual aim was to spread Chinese culture worldwide by creating “super intellectual property” that leverages Tencent’s various businesses from upstream to downstream. One example would be its publishing arm, China Literature, selling popular novels and turning them into video games and dramas through other businesses within Tencent. For the third quarter ended 30 September 2017, Tencent saw a 61% increase in earnings to US$9,825 million. Online advertising business revenue jumped by 49% to RMB11,042 million, while media advertising revenues increased by 29% to RMB4,122 million. This was mainly due to growth in revenues from its mobile media platforms such as Tencent Video, which benefited from popular drama series such as Nothing Gold Can Stay and self-commissioned variety shows such as The Temptation of Dinner Season 2. Social and other advertising revenues increased by 63% to RMB6,920 million, reflecting higher advertising revenues derived from Weixin (also known as WeChat) – mainly Weixin Moments and Weixin Official Accounts – as well as other mobile applications. According to Tencent’s third quarter 2017 financial announcement, advertisements in Weixin Moments increased due to strong advertising demand, as well as further expanded key accounts and long-tail advertisers. Tencent also reported a 56% increase in social networks revenues to RMB15,280 million. This was driven mainly by revenue growth from digital content services such as live broadcast and subscription video-on-demand, as well as from the sales of virtual items. In its latest financial announcement, Tencent stated that it will continue to boost investment in video content, especially self-commissioned video content, and reinforce its content recommendation algorithms. Meanwhile, revenue for online games increased by 48% to RMB26,844 million, reflecting mainly contributions from Tencent’s smartphone games such as “Honour of Kings” and the China version of “Contra Return”. Revenues from Tencent’s other businesses also increased by 143% to RMB12,044 million due to higher revenues from our payment related and cloud services. “We believe this success reflects our increasing investment in self-commissioned video content, our improved selection of licensed video content, and our scheduling and audience management initiatives. The listing of our online literature platform, China Literature, in November also reflects the value of our years of investment in the business. We believe our multi-faceted digital content businesses are synergistic with each other, and allow us to deliver unique content to our users,” chairman and CEO of Tencent, Ma Huateng, said. The potential launch of WeChat Pay comes after Alipay made its foray into Malaysia in June this year, with the collaboration of Genting and CIMB Bank introduce cashless payment at Resorts World Genting. In August, Public Bank also partnered with Alibaba Group’s affiliate company Ant Financial Services Group to offer Alipay mobile wallet services. Last month, Malaysia Airports partnered with Alipay to create awareness, boost interest and strengthen its brand positioning among Chinese travellers. According to Badlisham Ghazali, managing director of Malaysia Airports, partnering with the cashless payment platform is a “major step” towards embracing the future of retail and F&B transactions at its airports.